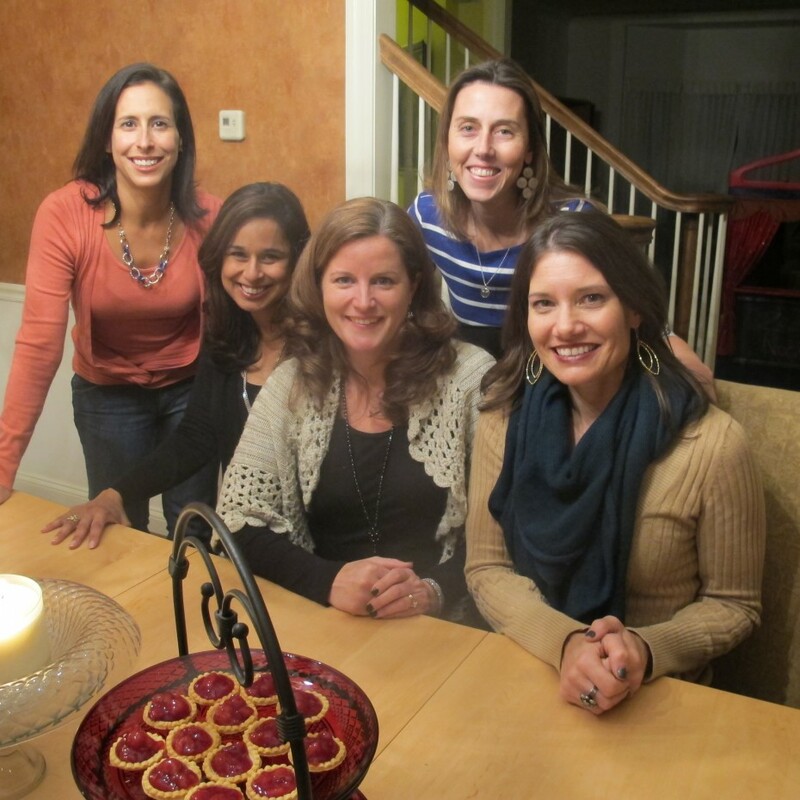 I was tasked to talk to some women about a variety of health and exercise topics. One question included, what do you think motivates you to get or stay fit? A common response we all had was weight loss – not necessarily any sort of big weight loss but that moment when our normal pants start feeling tight, we all agreed we feel extra motivated to get moving to get back to a “comfortable” spot for ourselves and our bodies. Another interesting response in our discussion about fitness and just overall healthy living habits had to do with our parents. As we’re all Moms in our late 30s and early 40s, we’re all in a similar situation with our parents – most of them are 65+. One Mom said that watching her parents health really deteriorate in the past few years was a big motivation to her to stay fit TODAY. Her parents were not active throughout their lives so it’s that much harder (impossible) for them to suddenly develop an active lifestyle. I thought it was point that really resonated with me. About five years ago, I was carrying an extra 10 pounds. I went on a diet and lost the weight but found I felt so good having adopted a true exercise regime that I wanted to stick with it. While I had always been the occasional exerciser/runner, REALLY finally diving into a 5-day a week workout routine has changed my life. And not just physically, I truly believe that keeping active keeps me emotionally happy as well. Not to mention the good things it does for my heart! Bottom line is that it’s never too late and that you’re NOT getting any younger. Better to start adopting healthy habits at 39 than 49. Or at 49 than 59, right? There’s only today. Studies show that songs with a high BPM (beats per minute) can motivate you to workout harder. Download those fun upbeat songs to really make the most of your workout! Having a gym buddy or group fitness can be such a bigger motivator. Commit to a friend to workout to hold yourself accountable! 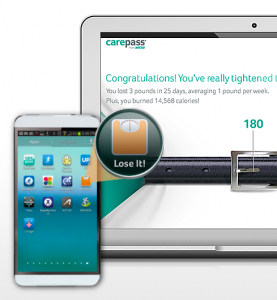 Aetna’s CarePass App connects your health and fitness to help you achieve your goals. Prevent fitness injuries by increasing the length of your workouts by no more than 5% each week. Did you know that exercise is good for mental health? Research shows that active adults have a much lower risk of depression than those who are not active. Visit Aetna’s whatsyourhealthy.com to find some helpful resources and inspiration on healthy living. 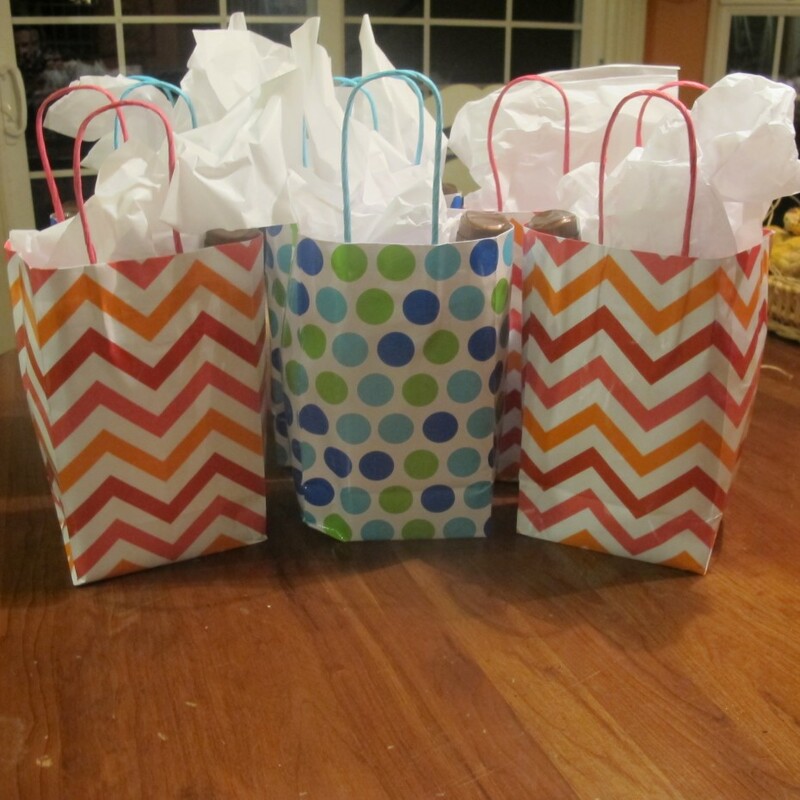 Goody bags that the girls took home at the end of the night – they were filled with happy & healthy living products! Overall, we had an awesome discussion and it was a great reminder to me that it’s important for us all to take some time occasionally to think about our health, fitness and long term healthy living goals. It’s so easy to get caught in the day to day. 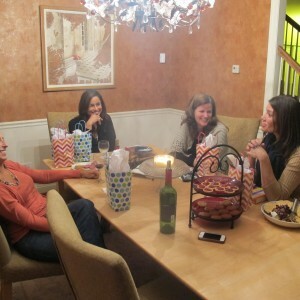 Thanks to my ladies for participating in the lively discussion! Disclaimer: This post has been sponsored by Aetna. I was paid to facilitate a discussion about healthy living. As always, all thoughts and opinions are my own.